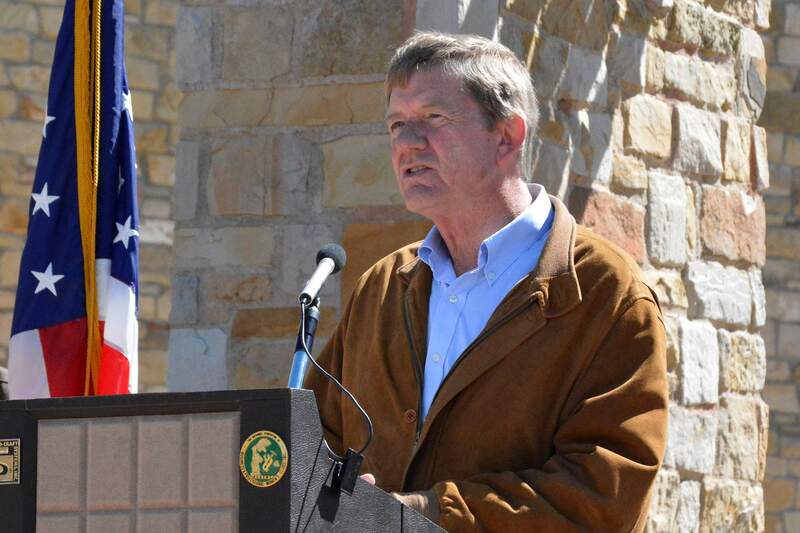 VAIL – Republican U.S. Rep. Scott Tipton of Cortez said Thursday he will support permanent reauthorization and full funding for the federal Land and Water Conservation Fund, ending months of speculation about his position. The fund mostly draws on revenue from uses offshore-drilling fees to help pay to acquire land, water and wetlands for conservation and recreation projects across the nation. Tipton, R-Cortez, said he is signing onto a letter, authored by Democratic Rep. Jared Polis of Boulder, that seeks reauthorization through any means possible, whether as a solely-dedicated funding stream or through any other legislation to which the LWCF could be attached. The Sept. 30 deadline is critical; that’s when the LWCF’s authority expires. Tipton’s support means he would become the second Republican in Colorado’s congressional delegation to support full funding and permanent reauthorization of the program, following U.S. Rep. Mike Coffman of Aurora. Coffman and Colorado’s three House Democrats are already supporting a bill – House Resolution 502 – that would reauthorize and fully fund the program. But that bill has languished for 18 months in a House subcommittee and its chances of being the vehicle for reauthorization before Sept. 30, when the fund’s authorization expires, are considered nil. The LWCF has been in place for more than 50 years, and Colorado has benefited from its resources to the tune of more than $268 million. During the fund’s 50-year history, Tipton’s 3rd Congressional District has seen about 150 projects funded by the LWCF with $26.5 million in federal dollars. “We want to make sure we’re taking care of the projects we have,” he said, in addressing his reasons for supporting the LWCF. President Donald Trump’s proposed 2019 budget would gut the fund to as low as $8 million per year, down from the $400 million the fund received in the 2017 budget. Tipton also indicated his LWCF support is tied to the appropriations process. There are already three bills that separately would reauthorize and fully fund the program, including HR 502, but none of them are likely to get through the House and Senate before Sept. 30. Four other bills have the best chances of grabbing onto the LWCF. One is the farm bill, which is now in a conference committee to work out differences between the House and Senate versions. That may be the best chance for the LWCF, since the farm bill must be passed by Congress. A one-year extension to keep funding intact for the programs under the farm bill is a risky proposition, said Melinda Kassen of the Theodore Roosevelt Conservation Partnership. That would mean, for example, that certain critical conservation programs might not be funded until the next farm bill was completed, which would be under a new Congress. Another bill, also in conference committee, is HR 6147, known as a “mini-omnibus” bill that would fund a number of federal departments, including the Department of the Interior, under which LWCF falls. Less likely are two other appropriations bills, one for the Defense Department and another on energy and water. Colorado’s two senators, along with almost a dozen other bipartisan senators, have attempted to insert the LWCF into the Interior appropriations bill. While the Senate rejected that amendment, Republican Sen. Richard Burr took to the Senate floor Wednesday to demand the LWCF’s reauthorization through whatever means possible. Burr is not seeking re-election in November and has threatened to filibuster the Senate until the LWCF is taken care of. The LWCF gets its money from federal offshore oil and gas drilling lease revenues It was envisioned by President Dwight Eisenhower in the 1950s and was fully funded starting in 1965. Its recommended funding is $900 million per year, although it rarely gets the full amount. A chorus of Colorado officials, from mayors to Colorado Gov. John Hickenlooper, have called on Congress to permanent reauthorize and fully fund the program.